An initiative that honours outstanding women who have made a difference in the meetings, incentives, conferences and exhibition industry, Meetings magazine is set to celebrate the annual Top 40 Women in MICE again this year. Do you know such a woman? She does it all with poise and grace and makes it seem completely effortless. She’s the one you call to “make it happen”. She runs a successful operation and makes a difference wherever she goes. Help us give these women the recognition they deserve and nominate that distinguished woman you think made this industry what it is today. 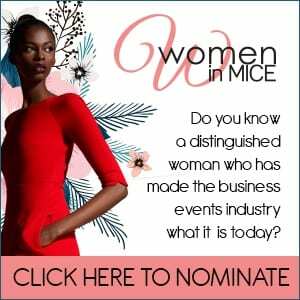 Send in your nominations for the fourth Women in MICE celebrations. The closing date for nominations is 26 May 2017.